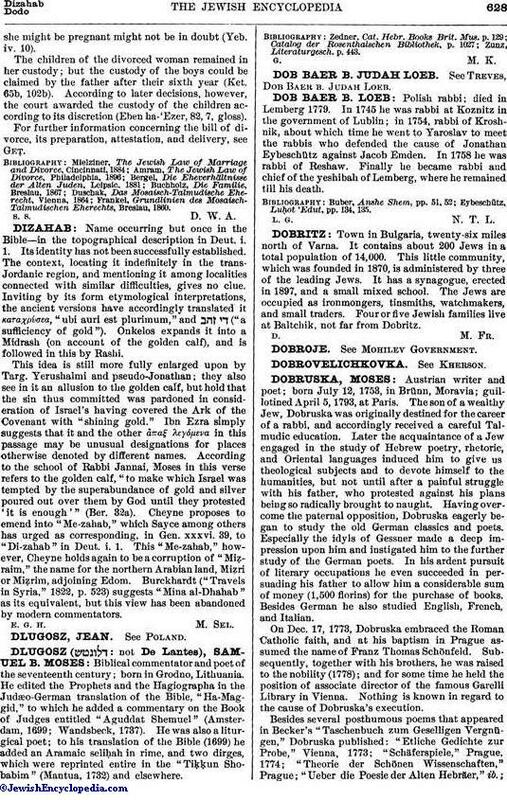 Polish rabbi; died in Lemberg 1779. In 1745 he was rabbi at Koznitz in the government of Lublin; in 1754, rabbi of Kroshnik, about which time he went to Yaroslav to meet the rabbis who defended the cause of Jonathan Eybeschütz against Jacob Emden. In 1758 he was rabbi of Reshaw. Finally he became rabbi and chief of the yeshibah of Lemberg, where he remained till his death. Eybeschütz, Luḥot 'Edut, pp. 134, 135.